I was so excited to work with Steve and Sheila for their engagement session because they were brimming with ideas. 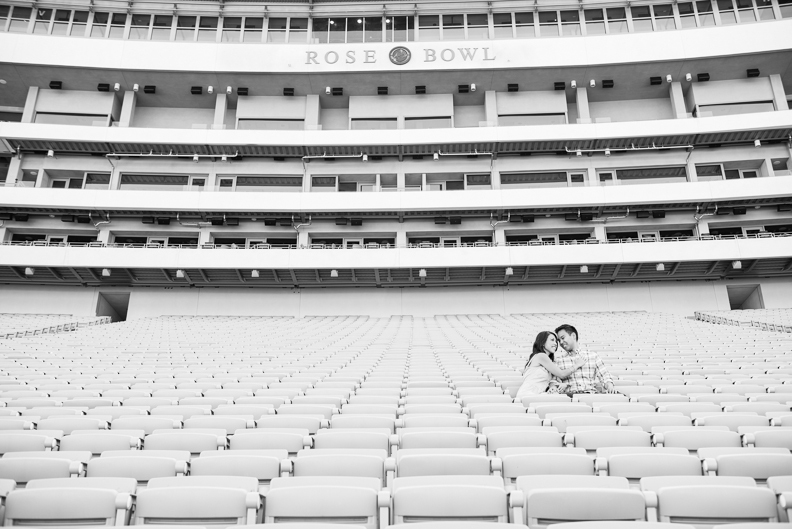 Steve, a diehard Bruins football fan, decided to have the session at the Rose Bowl! 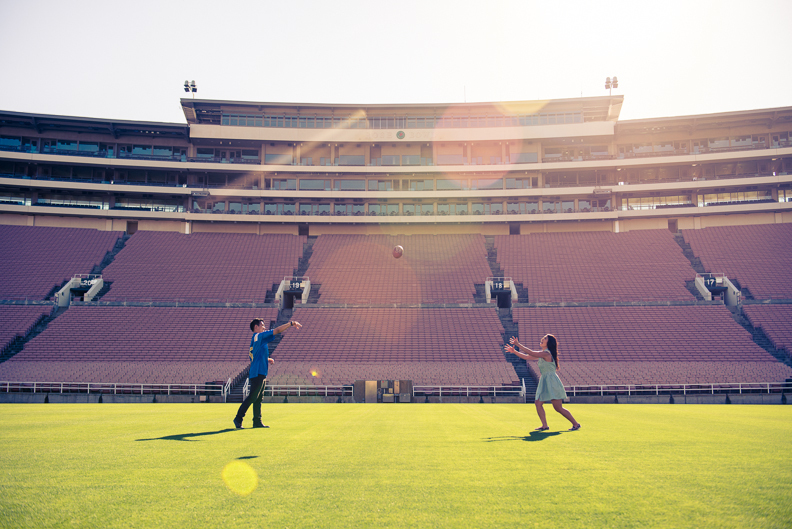 It was surreal to be on the field and to have the entire stadium all to ourselves. I was so impressed with Sheila’s football throwing skills! 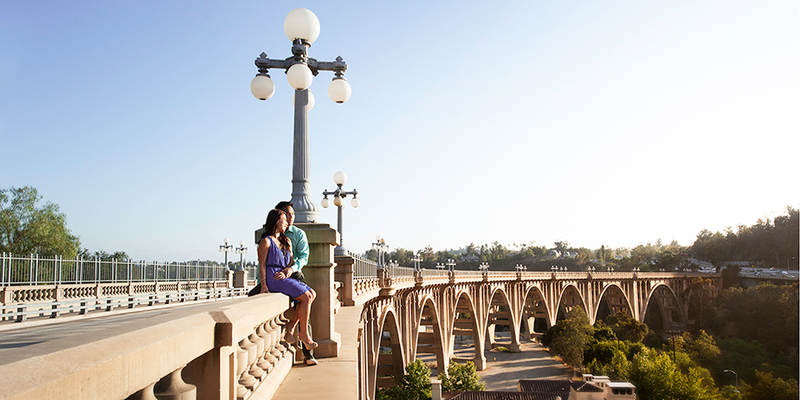 As the sun dropped lower into the sky, we headed over to the Colorado Bridge to add a little romance to their day. Bless Steve’s heart for mustering up the courage to lead the way when I begged them for a shot on the outside of the bridge. 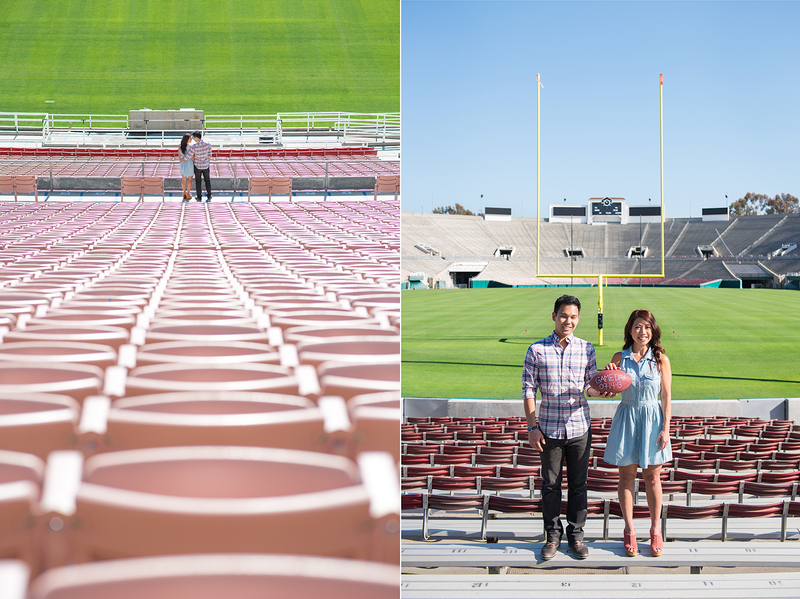 I had a blast working with the two of you and can’t wait for your upcoming wedding!